In an encouraging move that should improve the lives of exotic animals in captivity (while also helping to reduce the number of lame profile pictures found online), the Senate and Assembly of New York state have passed a bill banning people from taking photos of themselves touching or hugging big cats. Those fortunate enough to have never run across a bizarre dude-with-tiger photo online might not realize that it's become ‘a thing.' 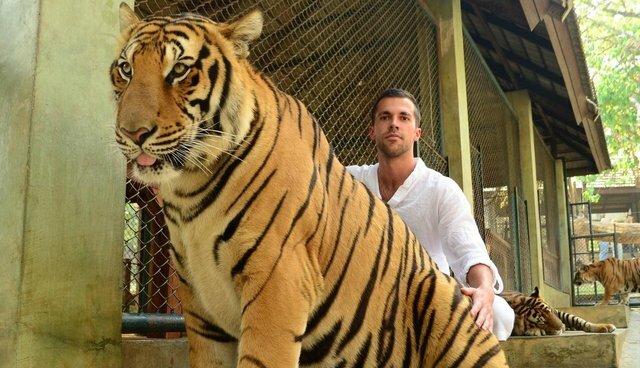 According to the Wall Street Journal, some users of Tinder, a popular dating app, estimate that as many as 1 in 10 profile pictures is of a person posing with a big cat. The psychology thought to be behind such staged images is simple and primitive. "Guys think, 'If I can tame a tiger, then I'm worth dating-and I could tame you,'" says professional matchmaker Patti Stanger. But the truth is, not surprisingly, that animals are usually drugged into a vegetative state to make such interactions tolerable. The new legislation, introduced by Assemblywoman Linda Rosenthal of Manhattan, is meant to public increase safety at fairs and circuses that allow guests to get up-close with their tigers. For the time being, however, this new ban only applies to big cats. "They can still pose with bears and monkeys," says Rosenthal. "They just have to take big cats off their list." 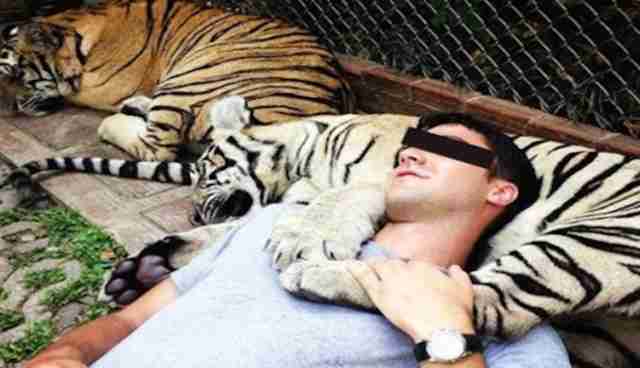 If New York Governor Andrew Cuomo signs the bill into law, fines for posing with tigers in the state will be up to $500. 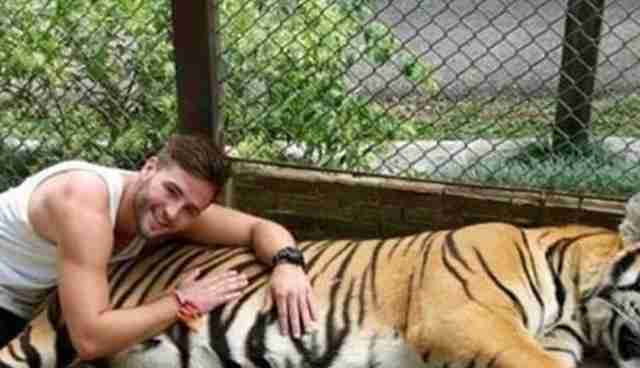 And for more Tinder with Tigers posers, check this out.